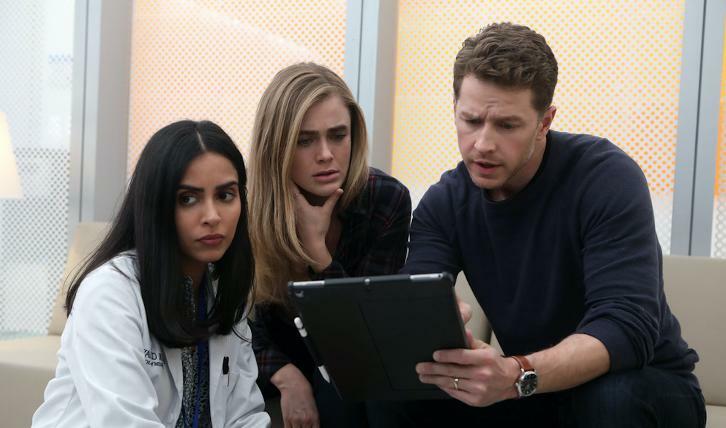 11/05/2018 (10:00PM - 11:00PM) (Monday) : When Cal (Jack Messina) wakes with a life-threatening fever, Grace (Athena Karkanis) worries it's a side-effect of his experimental cancer treatment, but Michaela (Melissa Roxburgh) and Ben (Josh Dallas) suspect Cal's condition may be related to a mysterious passenger from Flight 828. As Cal's situation worsens, Ben and Michaela attempt to track down the now-missing passenger. Also starring J.R. Ramirez and Parveen Kaur.